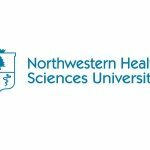 Northwestern Health Sciences University today opened its new Veterans Support Center on campus to serve the needs of students who have served in the military. The Home Depot Foundation, the charitable arm of the national home improvement retailer, provided a $6,400 grant to Northwestern’s Students Serving Veterans Club to help furnish and equip the center in the main Northwestern building overlooking a park and a lake on the Bloomington campus. Opening ceremonies included a ribbon cutting as well as words of thanks and encouragement from Northwestern officials, students, and veterans who assembled on campus. The center was the idea of Northwestern’s Students Serving Veterans Club, which applied for the Home Depot Foundation grant, one of 50 provided to student veterans’ groups at campuses nationwide. James McCloden, a senior admissions counselor, chairman of Northwestern’s Veterans Task Force and an Army veteran, will serve as director for the new center, working with the national Student Veterans of America organization to establish guidelines and policies. Northwestern offers tuition discounts to veterans and covers additional costs as a veteran-friendly Yellow Ribbon School. It has organized “Feed ’Em and Treat ’Em” events for veterans to try chiropractic, massage, acupuncture, and other treatments to address pain, often caused by injuries they suffered in military service. Northwestern, based in Bloomington, provides world-class professional education and research as well as comprehensive health and wellness services. Its more than 130 faculty members annually teach about 6,500 students pursuing degrees and continuing education in accredited programs in chiropractic, acupuncture, therapeutic massage, nutrition and other health treatments. The university, which celebrates its 75th anniversary in 2016, has more than 7,500 graduates throughout the U.S. and in 21 countries.